For use in Markwell G26, G26R and G26-OC tackers. 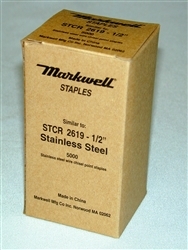 Can also be used in Bostitch PC3000 tackers and all other tools that use STCR2619-1/2" staples. 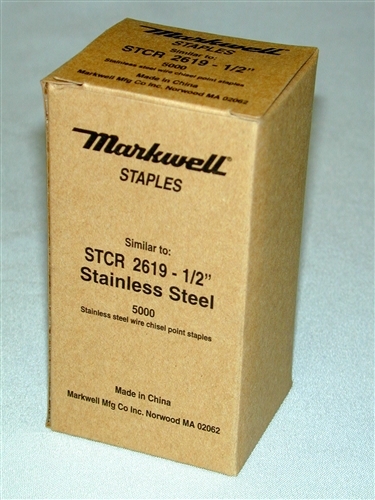 Staples made from 304 stainless, and are available in 5M boxes, and are 20 boxes per case.